Today, approximately 50% of people that experience myocardial infarction (MI) will die within 5 years. Following MI there are four possible outcomes: immediate death, delayed death, functional recovery with the formation of scar tissue, and recovery with impaired function. Of these four outcomes, two are fatal, while the other two drastically reduce the patient's quality of life. As scar tissue is not cellularized, the formation of scar tissue significantly decreases pumping ability of the heart. This is due to the loss of muscle tissue and by the blocking of electrical signals by the scar tissue. With the most effective cure today being whole organ transplantation, the Monaghan Lab is looking for new solutions by developing scaffolds that promote cardiac muscle regeneration. 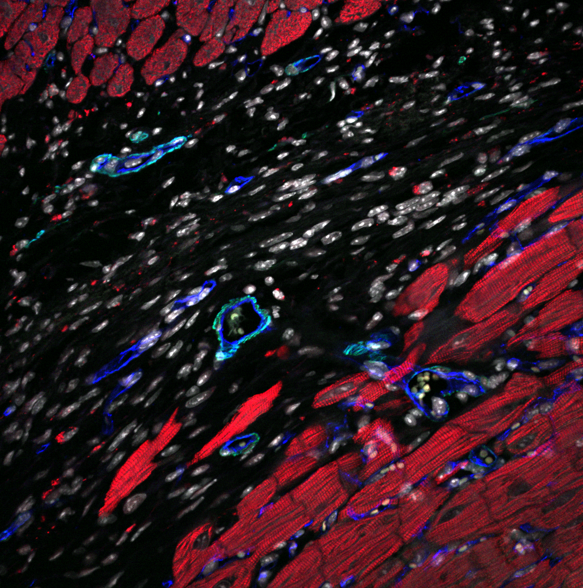 We are utilizing combinatorial approaches to develop effective conditions to engineering cardiac muscle in vitro and also achieve the next generation of advanced materials for directing regeneration in vivo. To this end, our projects are focussed on electroconductive biomaterials for organoid culture and drug delivery, bioreactor systems to direct cardiomyocyte maturation from pluripotent stem cell sources and precise additive manufacturing of scaffolds to control material properties and drug delivery.